In a newly released documentary, two former members of Compton, Calif.’s police gang unit claim to reveal that a man named Orlando Anderson fired the bullets that killed rap icon Tupac Shakur. The two-hour program, hosted by journalist Soledad O’Brien and Ice-T, aired on Fox on Sunday night. In the show, Timothy Brennan and Robert Ladd said that they had concrete evidence tying Anderson, a member of the Crips at the time of Tupac’s death, to the crime. Brennan and Ladd were the only members of Compton’s police gang unit for years. The officers say they had “Baby Lane” Anderson on their radar for trying to shoot someone in a gang initiation when he was 15, and they were investigating him for another murder when Tupac was killed in Las Vegas on Sept. 7, 1996. According to the two officers, Tupac and his entourage attacked Anderson in the MGM Grand Las Vegas Hotel & Casino after a Bruce Seldon-Mike Tyson boxing match. Three hours later, they say, Anderson pulled up in a white Cadillac alongside a car carrying Tupac and driven by Suge Knight, and fired a barrage of bullets into the car, hitting Tupac four times. Brennan and Ladd were instructed to assist with the investigation, but both men say that Las Vegas police rejected their theories. The officers said they received multiple reports that Anderson bragged about the killing after Tupac’s death. The officers say their suspicions were later confirmed when they came across a gun in a cache of more than 3,000 guns held at the Compton Police Department. The .40-caliber Glock pistol was the same gun that killed Tupac, according to ballistics tests, and it had been found in the home of a woman whose boyfriend was a known associate of Anderson, who happened to be in Las Vegas the night of the Shakur shooting. 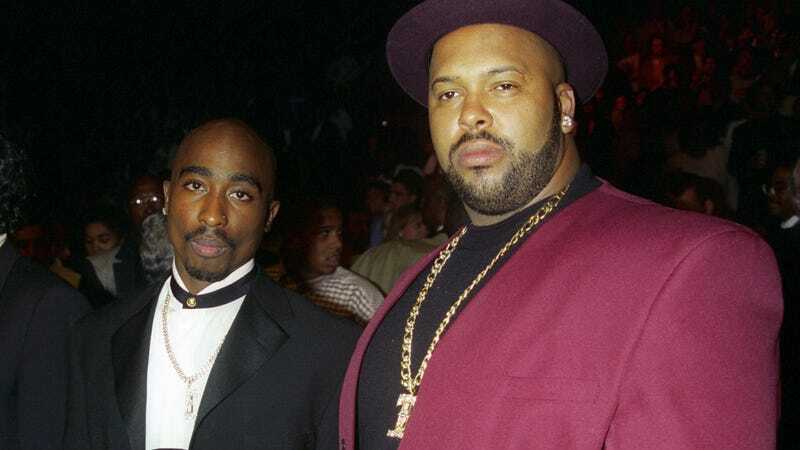 In the documentary, the pair ran a simulation of the shooting and found that it was pure luck that Suge Knight, who was also allegedly involved in the attack on Anderson, escaped the incident alive. Years later, Ladd and Brennan say, Anderson’s best friend confirmed the theory, but by then, Anderson had been killed in a 1998 shootout. The former cops say that they have presented this evidence to the Las Vegas Police Department, but investigators have not used it to close the case.